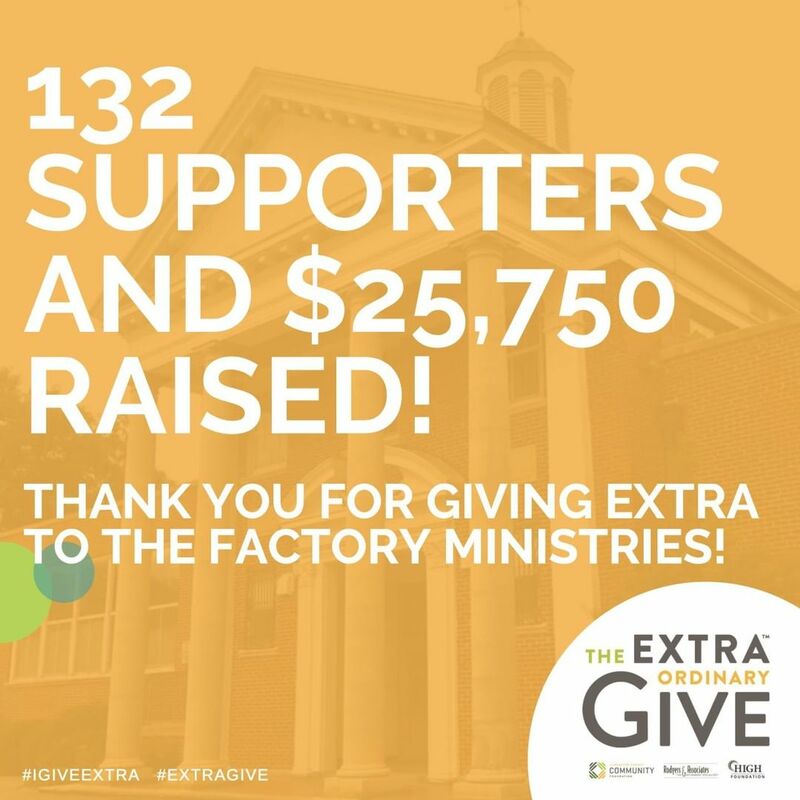 The Factory Ministries | Thank you to everyone who has so generously supported The Factory Ministries during this year’s Extra Give! The Factory Ministries exists to empower others to strengthen their community. The Factory Ministries is a hub for connecting needs and resources for individuals and adults who find themselves under-resourced and struggling with issues of poverty. #ExtraGive #igiveextra. Thank you to everyone who has so generously supported The Factory Ministries during this year’s Extra Give! The Factory Ministries exists to empower others to strengthen their community. The Factory Ministries is a hub for connecting needs and resources for individuals and adults who find themselves under-resourced and struggling with issues of poverty. #ExtraGive #igiveextra. Home > Thank you to everyone who has so generously supported The Factory Ministries during this year’s Extra Give! The Factory Ministries exists to empower others to strengthen their community. The Factory Ministries is a hub for connecting needs and resources for individuals and adults who find themselves under-resourced and struggling with issues of poverty. #ExtraGive #igiveextra.